Angelo M. Aratan is an associate in the San Francisco office and a member of the Corporate Business Unit. During law school, Angelo worked at the Donald Pritzker Entrepreneurship Law Center of the Bluhm Legal Clinic, where he advised early-stage companies and entrepreneurs on transactional matters such as entity formation, licensing, and intellectual property protection. Angelo has also worked at the United States Securities and Exchange Commission ("SEC") within the Division of Trading and Markets in Washington, D.C. as part of the SEC's Student Honors Program. As a result of his scholarly research and work at the SEC, he was awarded the 2016 Association of Securities and Exchange Commission Alumni ("ASECA") Scholarship for Northwestern University School of Law. Prior to joining Orrick, Angelo worked in-house as a law clerk at a major technology company in Silicon Valley. 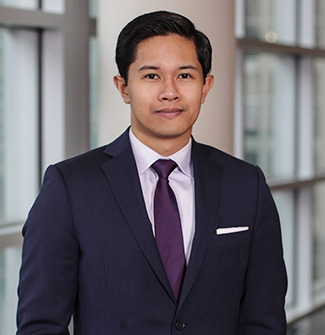 Prior to attending law school, Angelo worked as a law clerk in the intellectual property practice of a major international law firm for several years. Angelo is passionate about diversity and inclusion initiatives and dedicates substantial time and effort towards the Bar Association of San Francisco's annual Bay Area Diversity Career Fair.